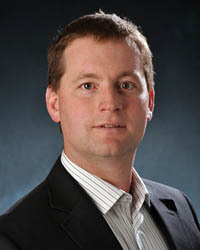 Previous research by Matthew Nisbet, a Professor of Communication Studies and Affiliate Professor of Public Policy and Urban Affairs at Northeastern University, shows that philanthropic funding on climate change issues has favored areas pertaining to communication, promotion of renewable energy and opposition to fossil fuels, while only a small amount has been invested in new-technologies to lower carbon emissions. Nisbet’s study analyzed grants made by wealthy foundations between 2011-2015 totaling more than half a billion dollars and found that only $10.5 million was invested in carbon capture storage or zero-emission-producing nuclear energy during that timeframe. Meanwhile, leading voices in the environmental activism space have become more extreme. “There are good conflicts and bad conflicts so if you’re getting money from oil and gas you’re obviously conflicted. If you’re getting money from wind and solar you’re not. But that’s not how it works,” Pielke said. Pielke has called climate change a “technology problem” and is an advocate for finding ways to make alternative energy sources cheaper rather than making fossil fuels prohibitively expensive. He is endorsing the “Green New Deal,” a policy floated by Congressional Democrats aimed at “transforming” the energy economy.